Air quality will be unhealthy for sensitive people in the Santa Clarita Valley on Tuesday, according to an advisory from the South Coast Air Quality Management District. The alert also applies to sensitive individuals in the Antelope Valley and the East San Gabriel Valley. 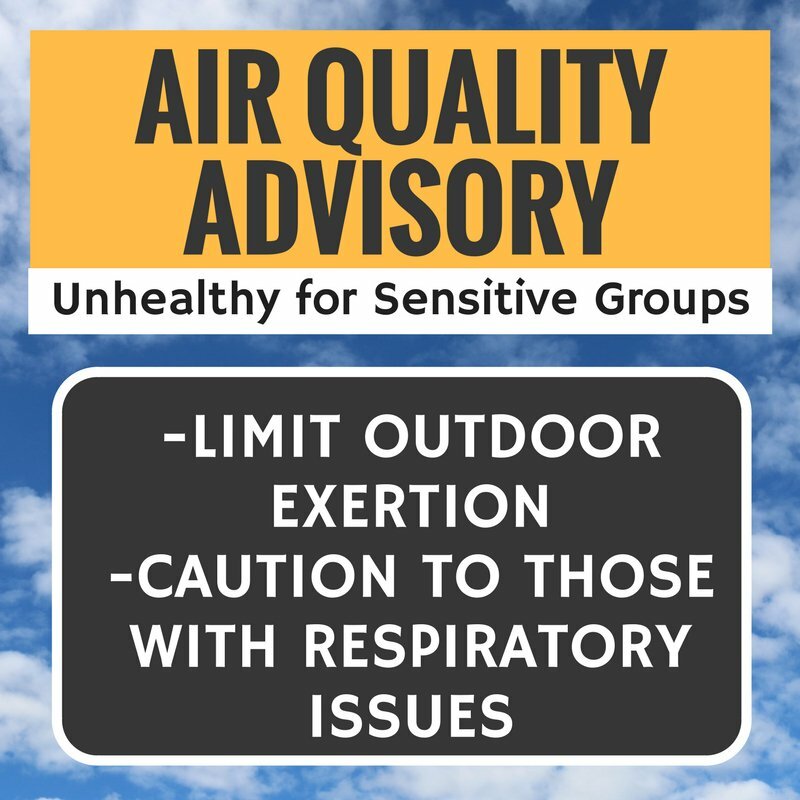 Los Angeles County Health Officer Muntu Davis, MD, MPH, advises people living or working in the affected areas who have heart disease, asthma or other respiratory diseases to minimize outdoor activities. To learn more about Los Angeles County Public Health, visit PublicHealth.LACounty.gov, and follow LA County Public Health on social media at twitter.com/LAPublicHealth, facebook.com/LAPublicHealth, and youtube.com/LAPublicHealth.